I am typing this blogpost using an Acer Aspire Netbook. 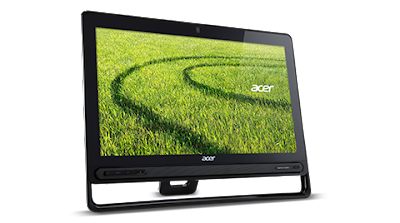 One of my trusted brands for gadgets is Acer, and now a new roster of devices are available to meet every individual's needs. Student, businessmen, artists or even bloggers. A Touch More worldwide campaign was recently launched by Acer. Touch is such a wonderful thing and feeling, don't you think? and the same is true for gadgets. You want a gadget that responds quickly to your touch and senses your needs. Very much like human attraction (?). This laptop is packed with more power and ability to perform with 4th generation Intel Core processor for processing speed, Acer Purified Voice to reduce noise for voice recognition and VOIP applications. It is thin and light but tough for better protection, with dual-torque and t-shaped hinge frame that enhances the stiffness of the screen when opened. This new laptop uses Ezel hinge that transforms it from a normal notebook by simply reversing the screen, as tablet with its pad mode, or as digital drawing board. This slim and stylish piece comes with powerful enhancement starting with its 4th generation Intel Core processors to pump up its productivity and entertainment functions for office and personal needs. 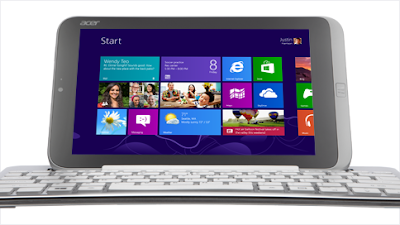 It has patented, dual-torque hinge and ACER TwinAir cooling technology gives a wobble-free touch experience. Another dominant notebook from Acer is Aspire v3-772 with formidable 4th-Gen Core chips up to 2TB storage space or 1TB via 256GB SSD or through the AcerCloud for much storage. The V3-772's NVIDIA GeForce GTX 760M provides vivid and crystal-clear enjoyment to users when it comes to visual application along with Dolby Home Theater v4 sound system for crisper audio quality. Acer also offers new mobile handhelds devices which are equally intelligent. It has zero-air gap technology, the touch capacity and LCD screen are closely bonded to provide clarity and brightness. It is best for viewing, creating and editing documents even while on the road. This Acer desktops is a popular choice for commercial and business users. Super bright and clear. It is an all-in-one PC that delivers basic computer needs and is packed with features that make it easier to use like using a hand gesture to control it. It also has Acer Remote so it can connect with other Windows 8 mobile phones. This device offers daily computing performance with its 4th generation Intel Core processors and 16GB of DDR3 1600 Mhz SDRAM so expect it to perform 15% better and load any application two times faster. Wew! So many amazing features and coded names for these new gadgets. Acer has been in the industry for 10 years, and as Mr. Manuel Wong, Acer Philippines General Manager says, "Acer global standards are brought by sharp and crazy minds in different continents of the world. Technology does bring us all together and connected. I am not very good at explaining things related to technology, but you may check www.acer.com.ph for more details.